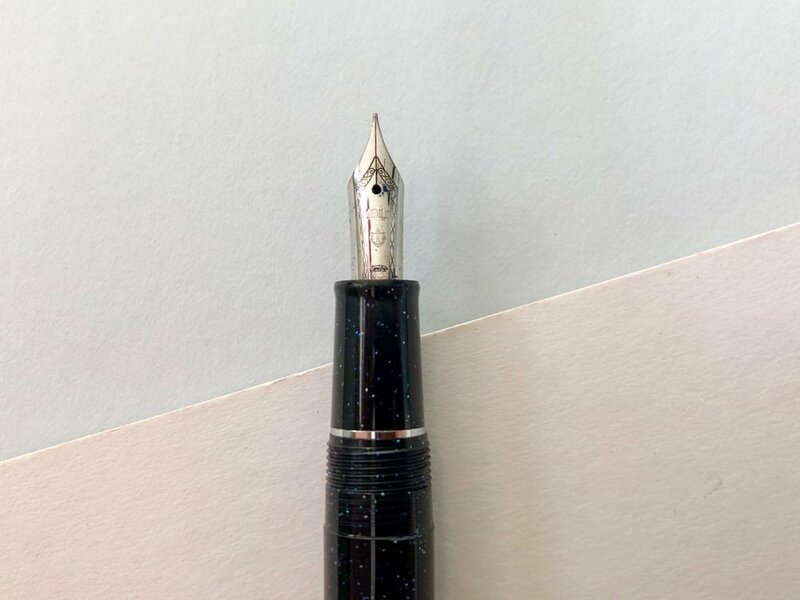 This review started out very differently outlining the benefits of the Kaweco AL Sport, my decisions for buying it and what I liked about this fountain pen. Turns out, to my surprise, I have already reviewed this fountain pen back in September 2015. Therefore this post will be a short re-review as there are a number of things that have changed in how I use the Kaweco AL Sport. I bought the Kaweco AL Sport with a medium nib initially as this was all that was available. After a couple of months use I found this nib size too broad for general note taking especially in smaller notebooks. I therefore bought a replacement nib unit with a fine nib and simply swapped this out. The ability to change the nib units in the AL Sport fountain pens is a huge benefit. It means I get to adjust the pen to my requirements for a small additional outlay cost of around £5. Recently with the launch of the new Kaweco Sport piston convertor I have been using this with my AL Sport. I have wanted a convertor for this fountain pen for some time and the lack of a piston convertor on this range of fountain pens has always been a bit of a frustration. I did try the squeezy convertor but this was awful and held hardly any ink at all. The new convertor is very small, around the size of a normal ink cartridge. You can see from the photo below the size difference between the two is minimal. As the convertor is small it does make filling the pen fiddly. Whilst it is a benefit to have the option of a piston convertor for the Kaweco Sport line, it’s not any better than refilling a used standard ink cartridge with a syringe. Something worth bearing in mind. After having this pen for over six months I am really enjoying the Kaweco AL Sport. It is one of my most used fountain pens and I always have it inked up. The new finer nib has increased my enjoyment of this pen dramatically. The convertor aspect is workable but I wouldn’t rush out and buy one if you don’t need to, there are alternative methods that are just as good.